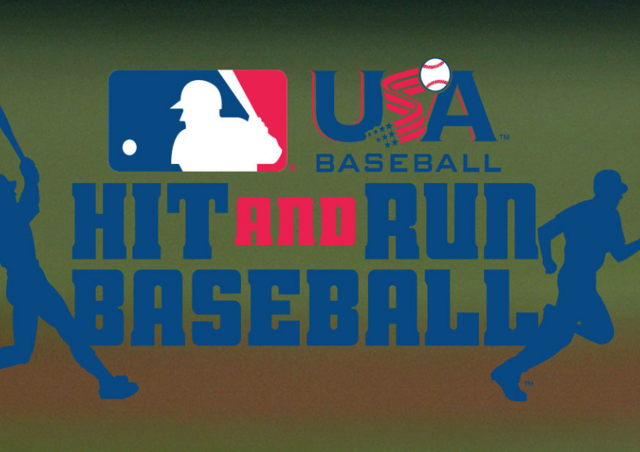 Nashua Cal Ripken has installed a pilot program at the Tee-Ball/Rookies and Minors level this Fall called Hit and Run Baseball. It is an initiative being pushed by USA Baseball, Major League Baseball and Cal Ripken Jr. The basic idea is to increase the pace of play and the amount of repetitions for each player, while still focusing on the basic fundamentals and playing the same game we all love. Our goal is to increase batted balls in play, thereby increasing in-game action, minimize the down time during at bats and, especially, minimize the down time between innings. The rules are flexible and feedback from coaches is welcome to make the games as fun and engaging for the players. If we find that something is not working, we can adjust. Creation of different situations to develop better situational awareness. If players are in ready position within 30 seconds of their last batter, an additional batter will be allowed in next offensive at bat. However, 3 outs by defensive team supersedes the reward. No stealing on passed balls (this may be something we adjust during the season). In the 5th and 6th innings: Start with runner on 1st and 2nd. If players are in ready position within 30 seconds of their last batter, an additional batter will be allowed in next offensive at bat. The added baserunners allow for different situations to present themselves during the games, force outs at different bases, the potential for a double play (especially in Minors). It also gives players an extra chance to develop their base-running skills. Use the last batter from previous inning as the added runner (last 2 batters in the 5th an 6th innings). Have a fixed rotation for the defensive positions each inning (i.e. First Base, Right Field, Second Base, Center Field, Shortstop, etc…). Practice the transition from offense to defense before a game (also reinforces where the positions are in the field). Choosing a catcher that is not going to bat in the inning and having the catcher suit up during the offensive inning (applicable only for Minors). If the catcher is not going to be ready, start inning without a catcher until they are ready to go (applicable only for Minors). Note: for Tee-Ball / Rookies, we have 9-10 players per team to allow more individual instruction and to make it easier on the coaches to herd their teams. This was well received in the Spring from the coaches. Our hope is that this format will add a new level of excitement for the players while still developing the basic fundamentals they will need as they advance to AAA, Majors and hopefully Babe Ruth levels. This will be an evolving format. We’d like to work together and gather your feedback to enhance it for next Spring.